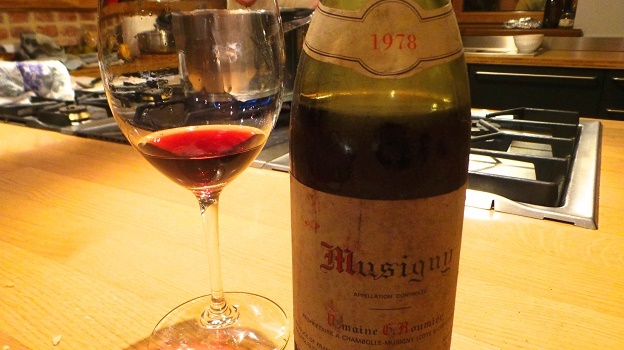 What a treat it is to taste Roumier’s 1978 Musigny. Autumn leaves, pipe tobacco, mint, licorice and sweet red cherries all lift from the glass in a gorgeous, fully mature Burgundy that captivates all the senses. Mid-weight, silky and gracious, the 1978 is exceptionally beautiful. The fruit fades, fast however, and the wine is never better than the minute it is opened. At this point, there is no further upside to be gained from further cellaring. Readers fortunate enough to own the 1978 should serve it immediately upon opening, as it is quite fragile. But those first 30 minutes, well they represent the kind of magic only Burgundy can deliver. 94 points.